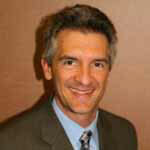 Dr. Robert Butterwick is a principal partner at Ross Eyecare Group. He is committed to providing the highest level of eyecare to his patients. Although many of his patients are from Buckhead and surrounding Atlanta communities, he is very proud of the fact that he has many patients that travel great distances to receive eyecare from him. Dr. Butterwick is a 1986 graduate of Millersville University in Pennsylvania, and received his Doctorate in 1994 from Nova Southeastern University in Florida – College of Optometry. Throughout his career, Dr. Butterwick has completed advanced training courses in a variety of eyecare specialties. These include, but are not limited to, advanced contact lens fitting techniques, as well as the treatment and management of ocular conditions including cataracts, glaucoma, keratoconus, and dry eyes. He has extensive co-management experience in LASIK surgery and other refractive surgery techniques. He received the Southern Diplomat continuing education award for advanced training in the treatment and management of conditions pertaining to glaucoma, and ocular requirements for Pilots. Movie Fan? Over the past several years, Dr. Butterwick has been providing eye care to some of Hollywood’s Biggest A-List celebrities for Atlanta’s Growing movie industry. He has provided expertise in the fitting and selecting of custom, hand painted contact lenses that provide the necessary special effects required to get the exact look the director is looking for for a variety of roles that actors portray. He has been on set and on location to provide this necessary element to the movie industry. He has appeared on CNN as well as local news as an eyecare expert. He also is an expert editor for eye care related health issues for WebMD.